Home Destination Archive by Category "Europe"
Enjoy driving the wonderful empty roads of the continent and relish the extraordinary diversity of scenery that Europe offers, from Norway to the Mediterranean, and from Ireland to the Baltic States. This grand tour of western Switzerland leads you on a tour of discovery through this fascinating country, one of Europe’s most beautiful. An outstanding route takes you through some of the country’s most beautiful regions, with spectacular views from amazing mountain passes and scenic routes. A magnificent holiday and driving experience – and a concentration of all things Swiss. A wonderful two week tour of the Norwegian fjords and mountains. Enjoy an amazing journey through historical, cultural and scenic delights. Discover one of the most beautiful countries in the world. Two week driving holiday of Croatia (and a little bit of Slovenia), discovering the Istrian Peninsula, Zadar, Split, Hvar, Dubrovnik, the Plitvice Lakes and Zagreb. Explore the lesser-known areas of Catalonia and Aragon, where there is little traffic, and therefore excellent driving on exciting, winding roads, accompanied by far reaching views of hills, mountains and lakes. Discover the delights of northern Spain & Portugal. From Santander head south to the enchanting city of Salamanca, before crossing into Portugal over the Sierra da Estrela Mountains. Drive along the Duoro Valley to Porto, then back through Spain & the Picos de Europa Mountains. 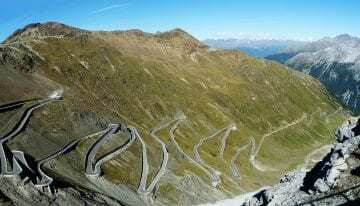 Enjoy a week in Italy, driving around the beautiful Lake Garda and into the Otztaler Alps to climb the famed Stelvio Pass, voted the best driving road in the world by BBC’s Top Gear. This two week tour of the Alps and mountain regions of France, Germany, Austria, Italy and Switzerland takes you on an amazing journey through historical, cultural and scenic delights.